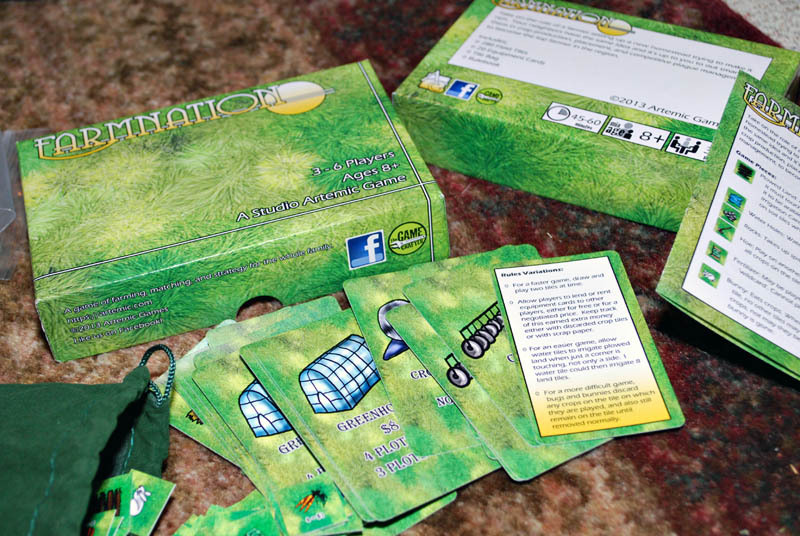 I finally have some time to really review the prototype printings I got for both “Mortgage” and “Farmnation”, former of which turned out a hellovalot better. I’ll start there. Warning, picture heavy. 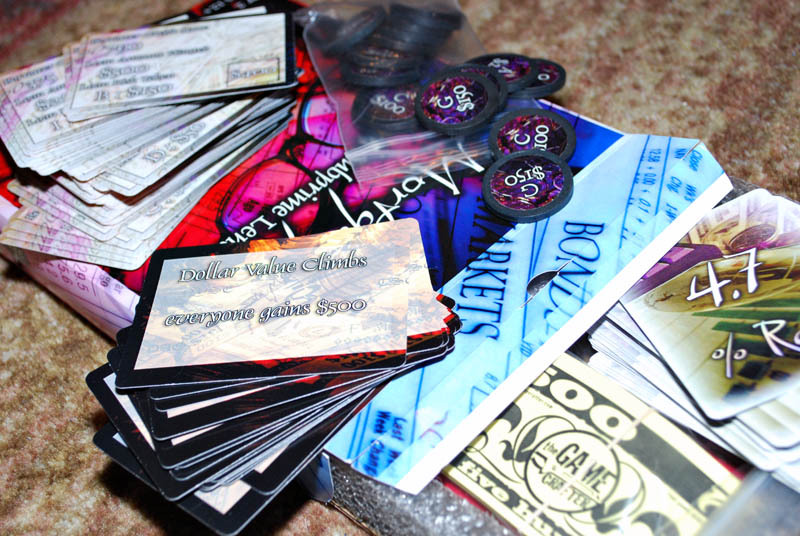 Cannot say enough nice things about the printing and quality of the Game Crafter products – this was the first time I saw the medium box and the tokens, and they both have really nice heft and hand-feel to them. The tokens especially. Revel, revel in all the components’ glory. There’s not much to do here really. Just a few screwups on my part and a slight redesign of the box layout – I pushed some frames a little too close to the edges and it looks a little cluttered and stupid. Gonna clean that up some and fix some various typos on a few of the cards. You’d think I’d learn to spell at some point. Newp. 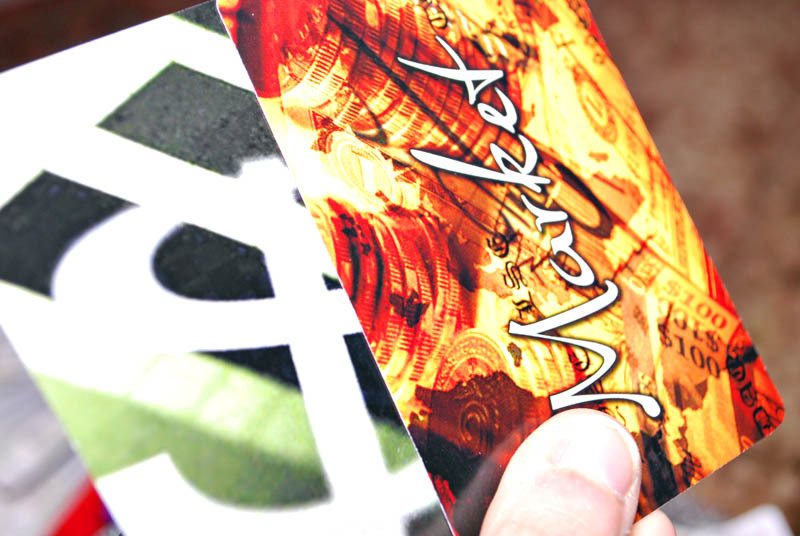 Card backs. Love the color saturation. And here the sadness begins. I originally did my prototyping on these kickass wooden tiles from Woodworks Ltd, and they were a fantastic size, shape, and heft. 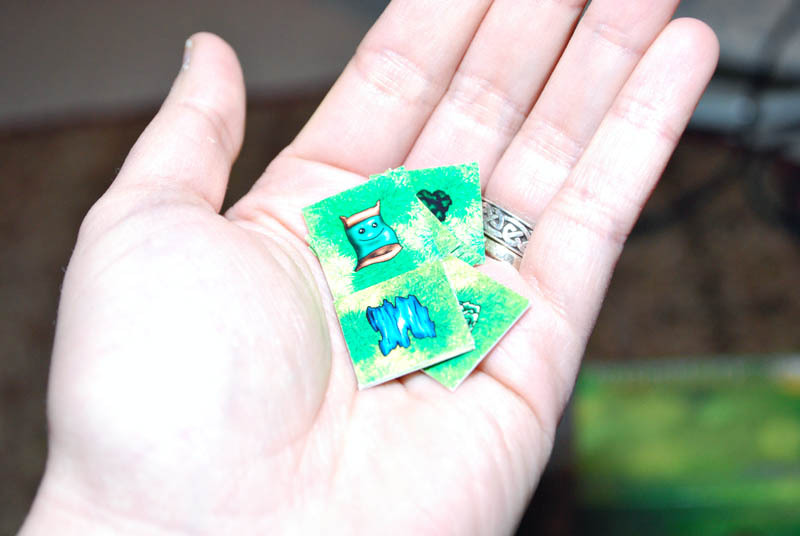 Only downside was I’d have to assemble each game myself, putting stickers on each individual tile. At this point I haven’t completely ruled that out, but I’d sure as heck like to automate the process as much as possible. TGC doesn’t have square tiles that I could use, and pricing out the circle tokens for the sheer number I’d need leaves me a little queasy with the final retail price. I opted to try the square shards as a compromise – they’re a bit smaller than the 1″ tiles I was using, and quite a bit lighter weight. After getting them in, that was a total fail. They ended up being much too small to read, and much too light to use as intended. Back to the drawing board on these. 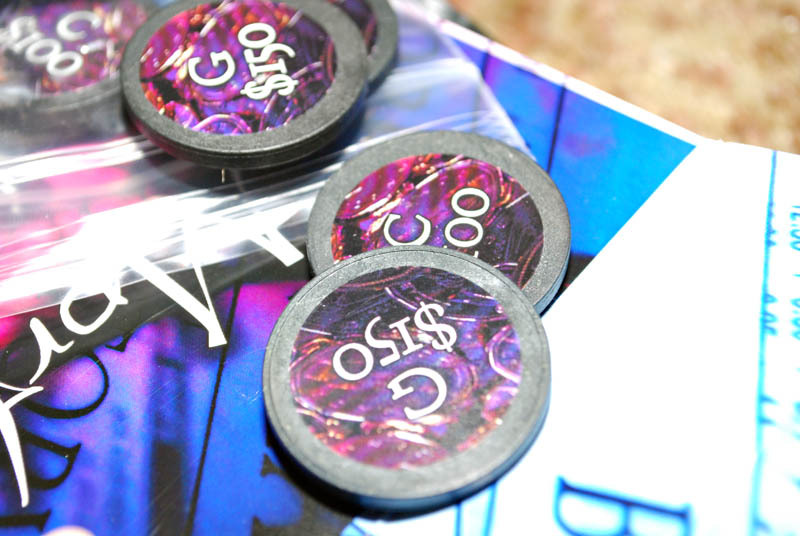 I might try repricing again with the circular tokens (*shudder*) or try again with a larger square card. The larger ones would make it easier to manipulate, but I’ll have to see about box options and pricing. However, everything else is looking fine. The equipment cards look good (need to lighten them just a smidge) and I’m completely in love with the small pro box. It’s absolutely fantastic in every way – just makes me sad that by changing the game components I won’t get to continue using it. At least the Medium pro box is in development. Wootz. So with everything to do I think I might be able to finish up the tweaks on Mortgage today or tomorrow, but Farmnation is going to take some more rethinking time. Onwards to spell correction land and box redesign! At this stage I wish I had really taken a class in graphic design. Damn.